Haringey's Multi Skills League offers an innovative way for children between Years 1-2 to participate in a fun and enjoyable multi skills competition against children from other schools. 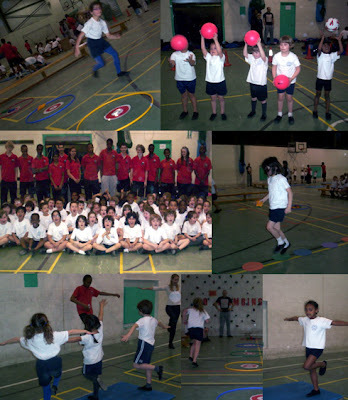 Sixty Key Stage 1 children from St.Martin of Porres Primary school visited Alexandra Park School to complete a Multi Skills circuit, comprising of balancing, throwing and catching, agility runs, hopping and target throwing. Congratulations to Daniel (Yr.1) and Yousef (Yr.2) who achieved the highest scores in their year groups.